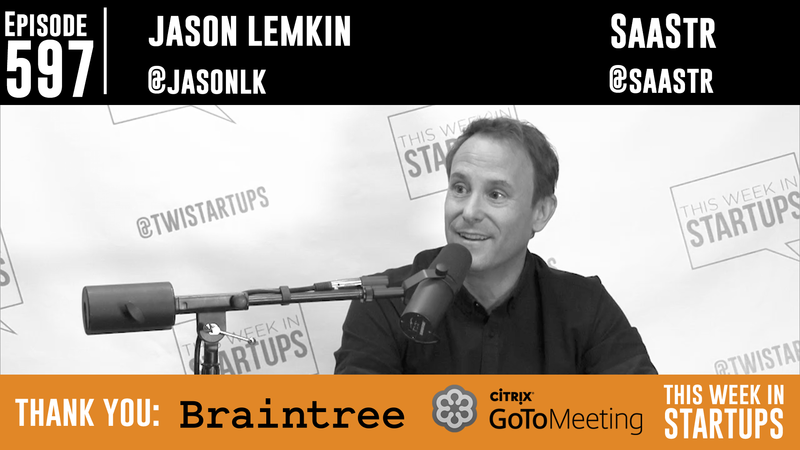 Jason sits down with the “Godfather of Saas,” Jason Lemkin, to discuss everything from the SaaS (software as a service) industry to angel investing criteria, from Lemkin’s current venture Saastr, to what the field has in store. We learn about the history of SaaS, why we owe a huge debt to Salesforce, and why so few enterprise customers “try before they buy.” The two Jasons further discuss Microsoft’s foray into SaaS, why “lockin” is a myth, the successes of — and differences — between Slack and HipChat, Lemkin’s SaaS investments (including Talkdesk, Algolia), why founders don’t make great VCs, Lemkin’s criteria for an investment (hint: the founder has to be better than him) and Lemkin’s advice on lifetime value to budding SaaS startups. Finally, the Jasons posit what would happen if Google or Microsoft came out with a free Slack competitor (protip: do not get arrogant about your engineers), the hurdles in monetizing a free product, why an acquisition might cost nothing for a big tech company, the mistake many companies made in 2008 and 2009, why choosing the celebrity investor isn’t always the best idea, the sheer volume of startups today — and much more. 3:45 – 6:03 What is SaaS? 18:46 – 21:17 Why is Slack so Special? 49:11 – 52:07 Free Slack Competitor? 1:02:25 – 1:04:50 What does 2016 look like for unicorns? 1:17:39 – 1:20:00 What’s Next for Lemkin?